The key to brilliant business decisions: Weigh all your options. A brilliant business mind is always bent toward the next solution. Find yours at Northeastern University’s D’Amore-McKim School of Business. We offer distinguished paths for professionals seeking to rise up in their careers. 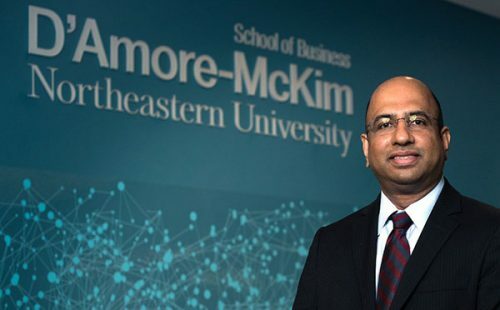 Choose Northeastern’s Online MBA to focus on the future you want. Accreditation: Join a top-ranked program in a regionally and AACSB-accredited business school. Faculty: Connect with our faculty of accomplished scholars and industry experts. Fully Online: Complete coursework 100% online—no campus visits required. Customization: Choose from 8 in-demand concentrations or participate in optional domestic and international residency courses.